Silica sand is one of the most common varieties of sand found in the world. It is used for a wide range of applications. 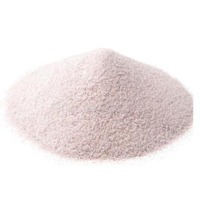 Silica sand is used in industrial processing, to make glass, as fill, and to create molds and castings. Silica sand is produced by crushing sand stone or quartzite of open texture, and washing and garding it to yield requisite grain distribution. Silica flour is produced by crushing grinding and washing the high grade quartz, quartzite rocks or from white silica sand. 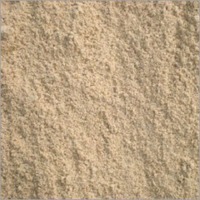 Salient Features Silica Sandstone is moisture free, fritable & hard. Grain size of the particles is variable. Friable & mainly brown to grey in colour. 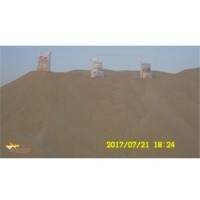 S/N Description 1 Silica sand D50 ranging 0.250 - 0.50mm 2 Color Yellow 3 High Quality sorted Silica Sand 4 Fine to medium - ranging 0.25 - 0.50mm 5 Cu D60/D10 not Greater than3 6 Passing through 63um less than 2% 7 Shell Content Less than 3% Material 8 Quantity 80000 M3 - ( 120000 Tons) 9 Coarser than 2.0mm Maximum 5% 10 Origin Egypt 11 Packing Bulk loose without bags 12 Price Price Fob Sokhna Port 27$ /ton 13 Payment 50% In Advance And 50% After Shipping Aginst Copy OF Doc By Email (can be Discussed) 14 Shipping date first vessel after 35days after Receiving DP 15 Loading Port Adabiya port 16 Draft of Adabiya 12.50 Meter 17 Quantity 25000 tons/Month 18 Loading Rate 8000 tons-10000 tons 19 Inspection Bearu veritas on buyer cost. 20 Validity One month. Silica Sand for Water Filtration Swimming pool filter sand our product of filter sand and Filter Gravel Exported to more than 17 countries in all over the World. We Are Extracting from High Quality Quarries with SIO2 more than 96.7% which was river sand since thousands of years. The raw materials is generally Extracted from East Egypt, wady al Natron, Sadat City, Giza. Silica sand for water filtration. We produce and process our products in our own screening plant which biggest in Egypt, that is why we confirm stability of quality in long term supplying with Worldwide companies in field of water filtration and Water Treatment, we are Exporting to many countries,Japan,Philippines,Greece,spain,Georgia,Senigal,Syria,Iraq,Georgia,coroatia,Kuwait,UAE, Egypt, Algeria, Qatar, Kuwait, Sultanate Oman, Cyprus, Turkey, Malta, Libya, India, Iraq. Cairo Filter Sand is used to filter and clean Portable water filters and pool filter and sewage treatment plant Purity MORE Than 96%, Free of any organic materials, no clay, no Radiation, no toxic materials. 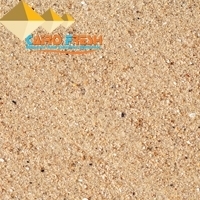 Cairo Filter Sand Meets EN12904 and AWWA B100-96 and BS:910(1969) Physical properties of silica sand and silica gravel Appearance The product is a grey/white, yellow or multicolored granular material. The structure is crystalline, with a smooth to rough texture. The particle shape is spherical or angular depending mainly on the origin and manufacturing procedure (quarrying or dredging, or crushing). The shape influences filtration performance, see A.3. The product shall be generally homogeneous and shall be visibly free of extraneous matter. Short on time? 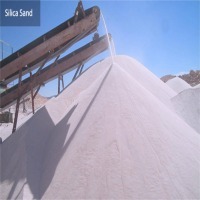 Let silica-sand sellers contact you. 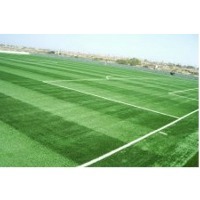 Cairo Minerals Offer High Graded and processed and sieved silica sand for artificial grass , which is natural grains, Silica sand is processed in our own screening plant after Extracting and transported to our site for screening, in our site we can grade and meet all required practical sizes according to FIFA. The silica sand for artificial grass has become Hot Request in the last 5 years which means high World production of artificial grass, and replaces natural grass. FIFA has Encouraged and Recommended using Artificial grass instead of Natural grass, for that Reason Silica sand has been ordered from many buyers, included football federation, individual companies, Sports Clubs, landscaping, Houses. Silica sand is used for Artificial Grass and football pitches, beach volleyball, tennis court, tennis soccer. What is common sizes of silica sand are normally used in filling artificial grass? The sand is used for both tennis and football artificial turf and therefore 2 different granulations are used: 1. Tennis: sand 0,4-0,8 mm (should not exceed 1,00 mm in any case). 2. Football: 0,5-1,25 mm (should not exceed 1,50 mm in any case). Generally, the silica sand granulation depend on the density of the synthetic grass, when the grass is quite dense ( more than 45000 stitches) we have to use the smaller granulation ( 0,5-0,7 mm) so that the sand can be placed into the grass pile when the grass is very dense, the sand cannot be placed inside In case of lower density ( soccer around 10 000 stitches), you can easily install the bigger granulation, but never higher then 1,5 mm ( even though some companies install even bigger but it is not according to any standards or international requests). 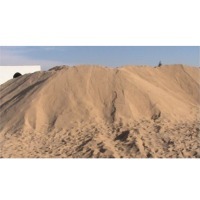 Obtain High Grade Silica Sand from Distinguished Sources Planet Earth is a storehouse of valuable minerals and elements. Some are readily available on the surface of earth whereas rest is extracted from the womb of earth. Some special elements are found in selected parts of the earth. 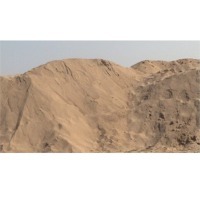 High quality Silica sand is very useful element that is imported by various nations. Silica sand is used in construction material but is also used in water filtration. 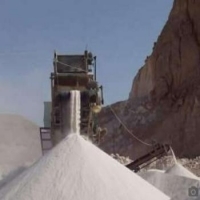 Though silica sand is accessible in various part of world but issue of quality and impurity is also attached with them, so you must choose your silica sand suppliers carefully. The aspect of physical characteristics and purity should be never neglected while procuring silica sand. Pool Filter Sand The size of grain, presence of impurity, strength and refractoriness are the aspects which should be examined thoroughly prior placing any order. Silica sand is a valuable gift of nature. Reputed registered companies take appropriate permission from government to export this valuable mineral. There is an immense demand of silica sand used in pools filter. 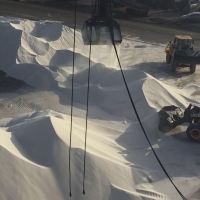 High grade Silica sand is exported in huge quantity to various countries like India, Spain, Greece, Cyprus, United Arab Emirates, Malta, Kuwait, Turkey, Qatar, Japan, Syria, Georgia, Croatia, Philippines, Iraq, Algeria and Sultanate of Oman. We bring forward the finest range of Silica Sand to the Indian and global clients. 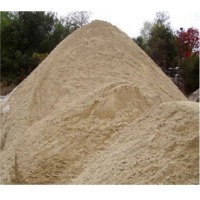 Being one of the popular exporters and suppliers of Silica Sand from Egypt, Cairo, the offered product is processed using approved raw materials and modern tools. The sand, supplied by us, is in high demand as it is broadly used in ample of industrial applications, and clients can purchase these at nominal rates. The product is packed carefully for safe delivery. Micro Silica Sand: Micro silica also known as fume, is an amorphous (non-crystalline) polymorph of silicon dioxide, silica. 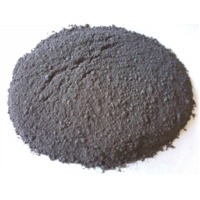 It is an ultrafine powder collected as a by-product of the silicon and ferrosilicon alloy production and consists of spherical particles with an average particle diameter of 150 mm. The main field of application is as pozzolanic for high performance concrete because of its extreme fineness and high silica. Applications : Silica is added to Portland cement concrete to improve its properties, in particular its compressive strength, bond strength, and abrasion resistance. These improvements stem from both the mechanical improvements resulting from addition of a very fine powder to the cement paste mix as well as from the pozzolanic reactions between the silica fume and free calcium hydroxide in the paste. Advantages : Addition of silica also reduces the permeability of concrete to chloride ions, which protects the reinforcing steel of concrete from corrosion, especially in chloride-rich environments such as coastal regions and those of humid continental roadways and runways (because of the use of deicing salts) and saltwater bridges. 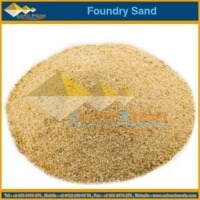 Silica Sand - Resin Coated Sand ,foundry Sand,colour Sand ,silica Quartz Powder . 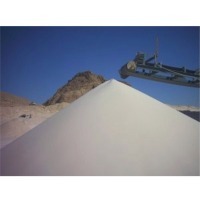 Offer high quality White Silica Sand that is in huge demands in the markets. Our Quartz Silica Sand is founded & manufactured silica sand provides satisfactory result in chemical analytical result. We offer Quartz Silica Sand at very affordable price to adjacent states, National & Multi-National companies engaged in the manufacturing of Glass making, foundries, abrasive, tennis coating, grinding media etc. We are well reckoned as one of the fastest emerging Silica Sand Manufacturers and suppliers based in India. Silicon is the most abundant element on the earth's surface and in the form of silica is consumed in a great number of industrial uses. Silica has many industrial applications in abrasives and polishes, in glass manufacture, fillers and extenders, silica brick manufacture, as a catalyst, in specialty coatings, cleansers, ceramics, electronics, optics and refractories, in Ferro-silicon manufacture, rubber, and as franc sand. Processing of silica of specific quality yields several types of specialty silica. These include colloidal, fumed, fused, high purity ground, silica gel, and precipitated silica. Colloidal silica is mainly used as a high temperature binder for silicon wafer polishing and carbonless paper. Fumed silica has unique strength, thixotropic properties and flatting properties, is a valuable ingredient in rubber, plastics, coatings, cement and sealants. Colour : White/Tiny Red Sizes Specifications : According To Customer Requirements Uses : Glass & Crystal Industry, Iron & Steel Industry, Glass Bottle Industry, etc. Silica sand is one of the most widespread ranges of sand. 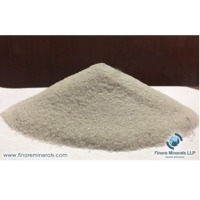 Global Minechem Corporation offers Silica Sand in India. Sand is the broad-spectrum term for broken granules of minerals or rocks, to be precise between one-sixteenth of a millimetre to two millimetre in the specific diameter, falling amid silt and gravel in the diverse spectrum of provided sizes. There are many assortments of sand across the globe, each with their exclusive composition and intrinsic worth. Price Of Product : 45 US$ Per Metric Tonn Product Origin : India HS Code : 25051011 Minimum Order Size : 28 MT ( 20 Feet Container ) Packaging Details : 25 / 50 Kg PP / Paper Bags on 1MT or 2 MT with Pallet or Without Pallet. Loose / Bulk Packing on 1MT / 2MT Jumbo Bag with inner plastic liner. 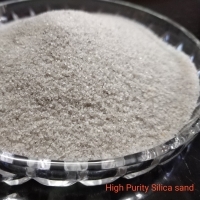 Characteristics of Silica Sand : Silica is the other name for silicon dioxide, SiO2 of which quartz is an explicit latticed structure. As a result silica sand is quartz produced by the work of water and wind subsequently broken down into minute granules. These granules can be utilized for many diverse purposes and can be found in the non-tropical areas. 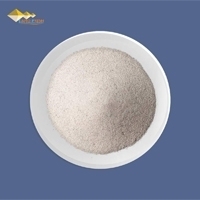 Key Usage of Silica Sand Silica sand is utilized for water purification and manufacturing of glass, synthetic foundry moulding catalysts, and the disodium ultramarine. It is even utilized for acid heat resistant ceramics, refractories, pottery glaze as well as enamel. Silica sand is utilized in sawing stone, grinding and surfacing of accessible glass with polishing marble rounded grains produced from silica sand. They are used for sand blasting and as filler in paints. They are moulded with hard rubber goods, using gypsum plasters along with ox chloride acoustic plasters and the soap.